Here are some signs that your pet may need to visit Young’s Animal Hospital. While outdoor pets acclimate to colder temperatures in Titusville and surrounding areas, they cannot tolerate extreme cold conditions. Animals can develop hypothermia, a serious condition where their body temperature falls below normal. They can also develop frostbite. 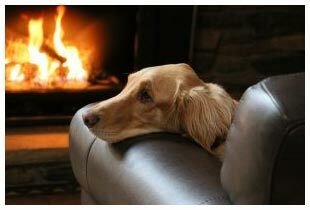 Bring your indoor/outdoor pets inside during cold weather. Provide dry, draft-free, heated shelters for large animals and strictly outdoor pets. Just as in summer, never leave your pet alone in a car during cold weather. Cars can act like refrigerators that hold in the cold. Playing in the snow is a special time for pets and their human companions, but it can also be dangerous. Make your pets healthier and happier this winter with these easy tips from our Doctors. You want to do everything you can to keep your pets safe and healthy during the winter months. Even some things that may seem harmless can cause an issue, which is why it is important to take these tips into account. Stay safe and happy holidays from all of us at Young’s Animal Hospital!